The Flipkart Big Freedom Sale has already begun and will last till 10 August midnight. The products we have covered in this list are from brands like Huawei, Samsung, Google and more. 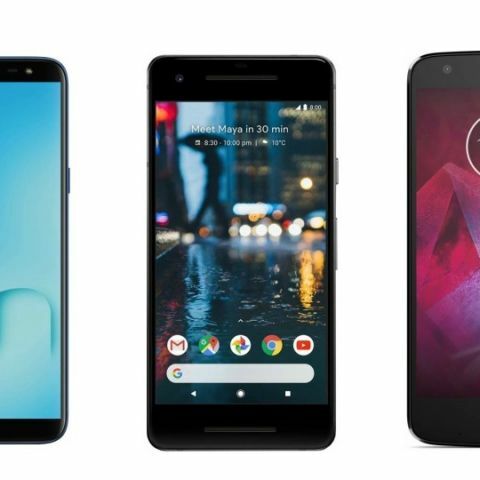 The Flipkart is offering great offers on big smartphone brands like Samsung, Google, Huawei and more as part of its Big Freedom Sale. The e-tailer also collaborated with the CITI Bank and offering up to 10% discount to those who will pay using bank’s credit card. The Samsung Galaxy On6 sports a 5.6-inch HD+ Super AMOLED display with a resolution of 1480 x 760 pixels. The device is backed by an Exynos 7860 octa-core processor, which is paired with 4GB RAM and 64GB internal memory. As far as the cameras are concerned, the smartphone comes with a 13MP sensor at the back, while the front has an 8MP unit with beauty mode and an LED flash. Click here to buy. The Honor 7A is powered by a Qualcomm Snapdragon 435 octa-core processor, which is paired with 3GB RAM and 32GB internal memory. The device sports a 5.7-inch HD+ display with a resolution of 720 x 1440 pixels. The smartphone features a dual 13MP + 2MP dual camera setup at the back with the Bokeh effect, while on the front it has an 8MP unit. Click here to buy. The Google Pixel 2 sports one of the best smartphone cameras currently availabel in the market. The smartphone features a 12.2MP rear camera and an 8MP unit at the front. The device is powered by a Qualcomm Snapdragon 835 octa-core processor, which is paired with 4GB RAM and 64GB internal memory. Moreover, the device also provides unlimited Google Drive storage. Click here to buy. The Vivo V9 sports a 6.3-inch FHD+ display with an aspect ratio of 19:9. The device is powered by a Qualcomm Snapdragon 626 octa-core processor, which is paired with 4GB RAM and 64GB internal memory. The smartphone supports both the fingerprint sensor and Face Unlock. As far as the cameras are concerned, it has a 24MP front camera and a 16MP + 5MP dual rear camera with Bokeh effect. Click here to buy. The Moto Z2 Force features a 5.5-inch Quad HD display with a resolution of 2560 x 1440 pixels. The device also comes with the company's ShatterShield technology which protects the device's display from cracks. The phone is backed by a Qualcomm Snapdragon 835 octa-core processor, which is paired with 6GB RAM and 64GB internal memory. When it comes to the cameras, it has a dual 12MP sensors at the back with a 5MP unit on the front. Click here to buy. Best mobile under 40k during coming dewali sale ? ?